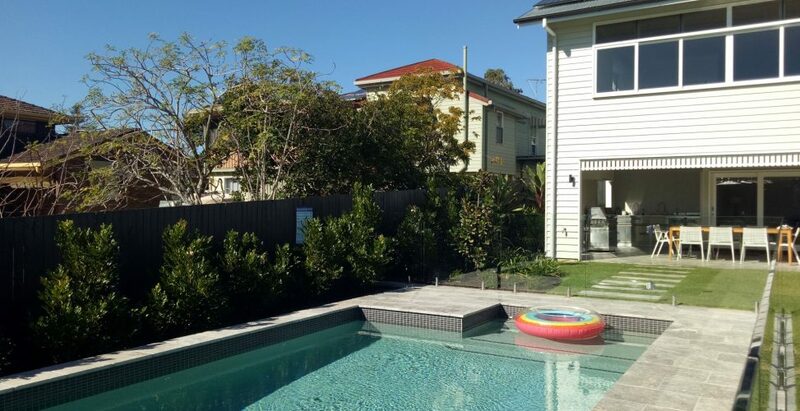 Few blocks of land in sought-after inner city Wilston have the space for an active family, let alone are flat to encourage outdoor activities. This piece of land was no exception. 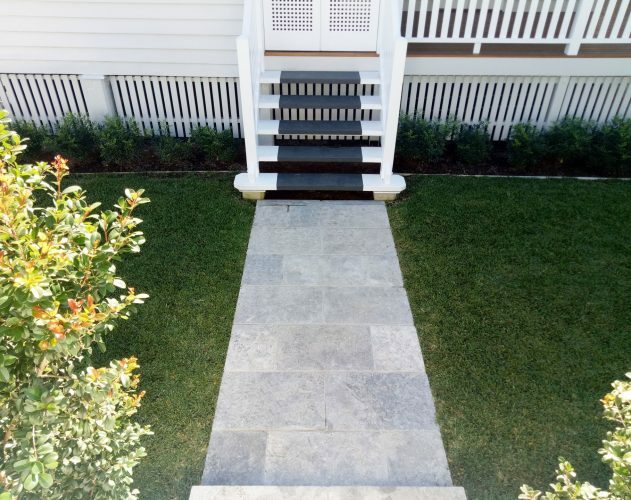 The proposed landscape surrounding a beautifully designed and renovated Queenslander unfortunately stole the limelight, and not in a good way. 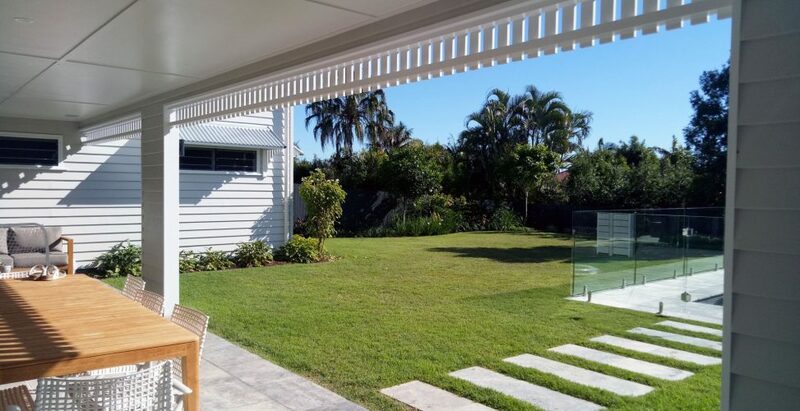 The design proposed, focused on creating a usable space that would allow the family to linger outside, enjoying the space year round and really capturing the essence of the quintessential Australian lifestyle. By focusing on maximising the area available and putting all outdoor spaces on the same lower level meant that the area was going to provide maximum appeal for ease of accessibility and encouragement of play. 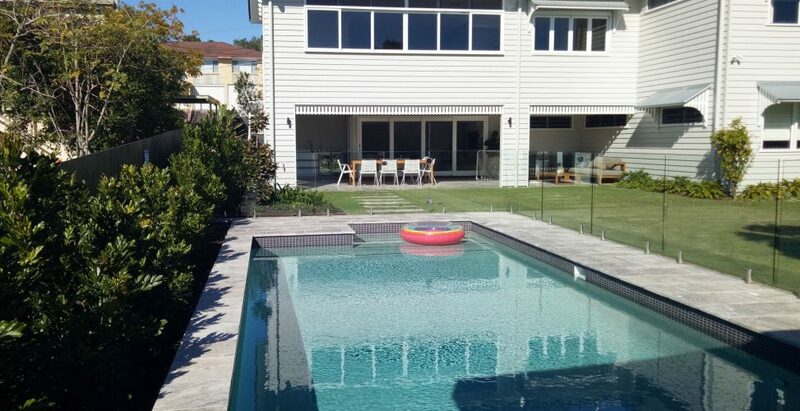 Once we removed the existing pool, the ground level was raised to match up with the floor level of the house. 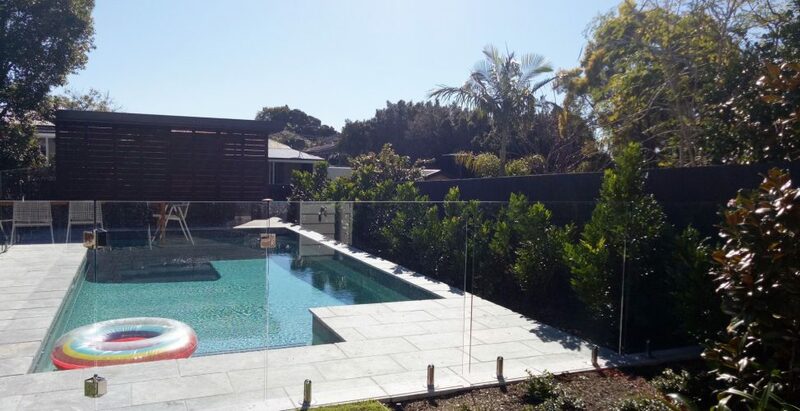 The existing slope was utilised to cleverly hide bulky but essential structures including pool maintenance equipment for the new wet zone and a water tank. 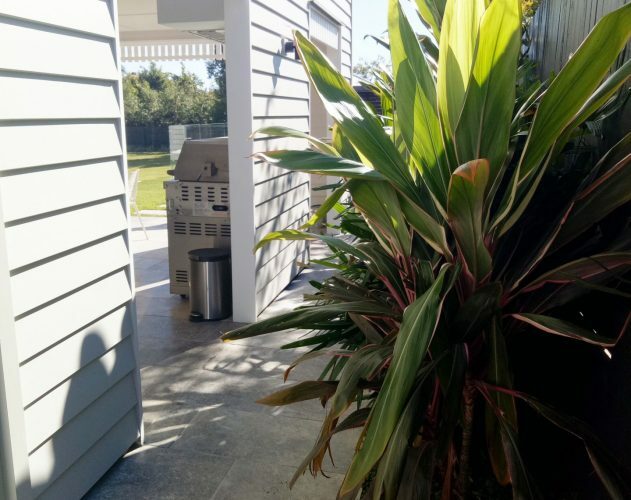 These Queensland essentials were complimented by a large grassy area for children to play and grow, and an additional zone was created for handball and netball. 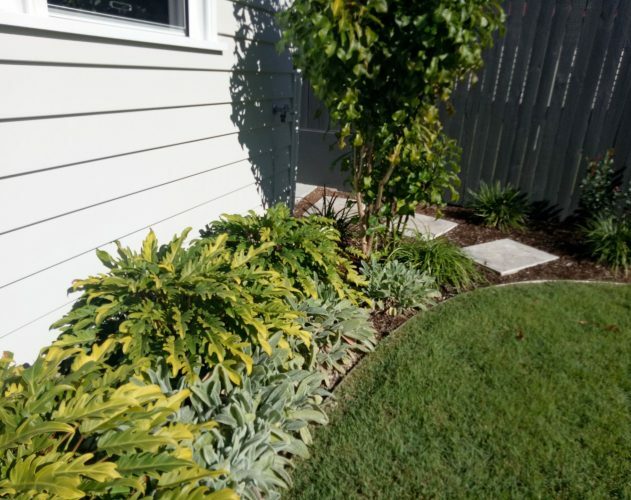 While most of the foliage was removed, a key request from the client to maintain one particular tree was honoured, and this was incorporated as a feature into the new garden which also showcases beautiful shade and verdant tropical plantings.